If one of any of the 4 corners is rounded off what's the din b'dieved? What if the bottom 2 corners are rounded off but the top ones aren't? The rosh is rounded off completely I'm assuming this is a shinui in the tzurah and pasul b'dieved? Take a look in the sefer kesivah tama, he brings the gedarim there as well as the mare mekomos. I don't have it handy but I remember looking it up a few times. Some say he is too machmir on that issue, but the good thing is he brings the Mare mekomos on the subject so you can research it yourself. 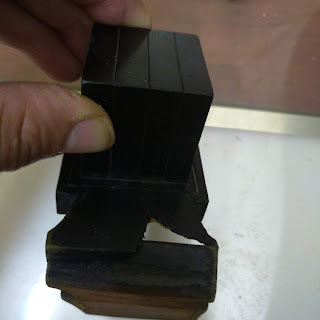 See Mishna Brura 36:15 (and in MS ois tes) writes that tzarich iyun if the corners of a rosh (one of the shaatnez getz) are rounded lacking the zavis, of 3 corners. Meaning lacking one corner is OK, lacking 2 or more is a problem. Most poskim don't seem to be machmir as the MB (see Mishnat Hasofer, Yalkut haosfer p. 53), and hold bdieved it's kosher. It is worthy to fix, and as Eli wrote can be fixed even according MB because the letter has its tzuras ois. Thanks, that helps to clarify things. My sofek was because the MB/MS is not so clear l'maseh so thanking you for pointing out these sources. I'm just starting to get familiar with the seforim in the inyun. Who wrote "Kesivah Tama"? 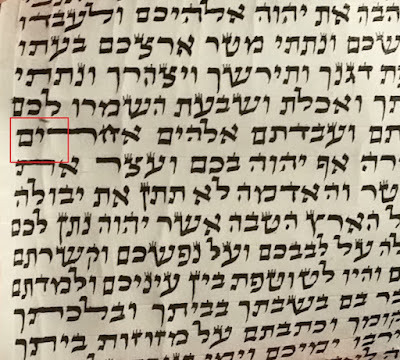 Reb Moshe,are there different opinions in Ksav Chabad regarding the upper right corner of the Zayin? No, in csav chabad the upper right is not a zavis but rounded a bit. 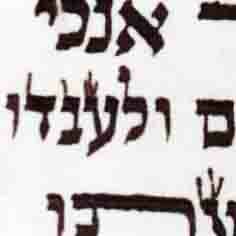 Leaving the other 3 corners as zaviyos, so the head of the zayin and many other letters resemble a yud that has 3 corners only. see SA Harav begining of alef - nekuda ha'elyona is a yud so therefore has 3 uktzim. Ksivah tama is written by Rabbi Avraham Zilberger from machester. (not sure how you spell his name in English). I think its out of print? Its an excellent sefer.